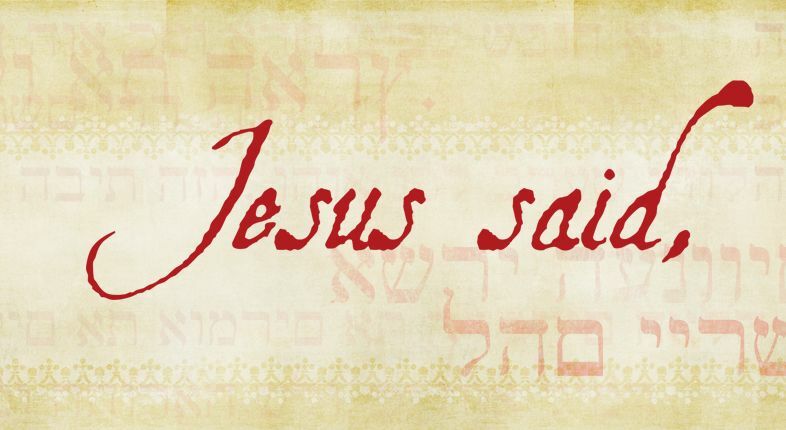 There are so many promises in the Bible of what Jesus SAID to his disciples and to us. We should focus on these things, instead of the empty promises of man. If you have a moment, read through one of the Gospels and notice how many times it reads: "Jesus said...."
Matthew 8:13 - Then Jesus said to the centurion, “Go! Let it be done just as you believed it would.” And his servant was healed at that moment. Matthew 9:12 -On hearing this, Jesus said, “It is not the healthy who need a doctor, but the sick. Matthew 16:24 - Then Jesus said to his disciples, “Whoever wants to be my disciple must deny themselves and take up their cross and follow me. 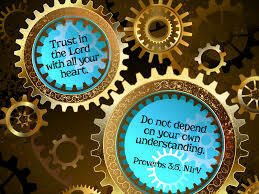 We need to 'dare to Trust' in God. What I mean is this - sometimes we are so used to trusting in human wisdom, power and experience, but we neglect to put our TRUST in the creator of the world. Is it not time to place our FULL trust in Jesus Christ? 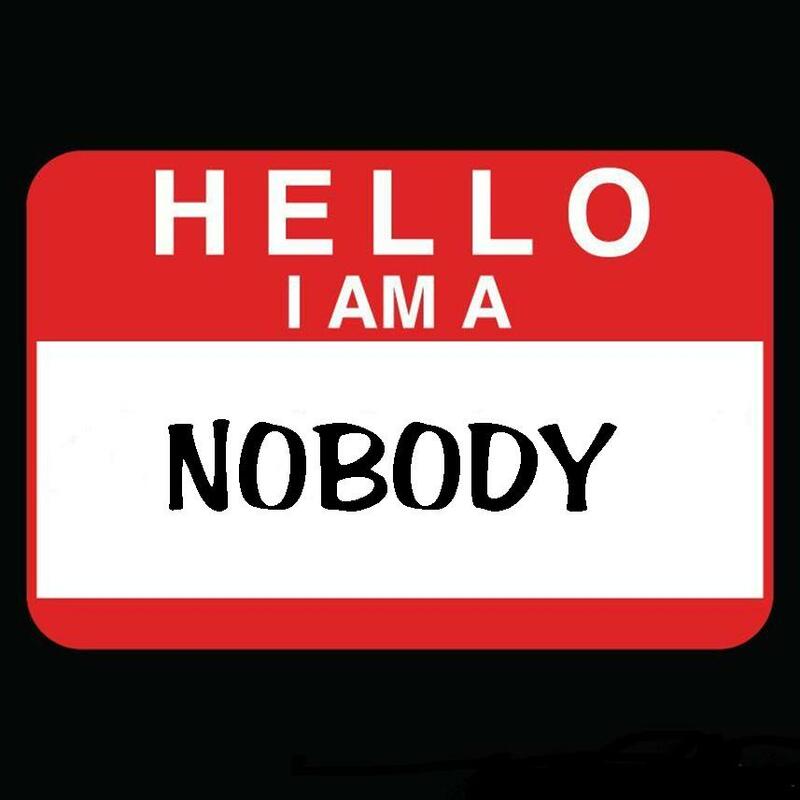 When you feel like a "Nobody"
We have all felt this before - we feel as if the world couldn't care about us at all. 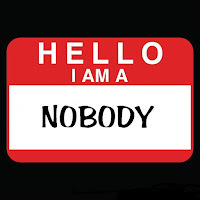 We feel a little tattered and worn - we can even feel like we are a "Nobody!" The Good News is that God is in the business of drawing alongside the "nobodies" of this world. God loves us and he desires to make something of our lives. So the next time you feel as if things are not going so well, remember that God always makes something out of nothing. May God bless you with courage today. I have been asked this question a fair number of times - "Where is your church?" The simple answer is always just to give them the street address, because that is essentially what they are asking, but I want to mention that it is not my church at all - it is God's Church! I came across these Latin words the other day, which help us understand this on another level. Ubi Christus, ibi Ecclesia – This means .... "Where Christ is, there is the Church." So there is our answer. Where Christ is present, that is where the Church should be! People are very good at putting up barriers, fences, walls around ourselves. 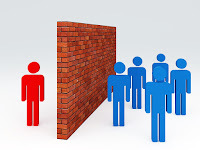 We do this to keep people "out" or maybe to keep stop ourselves being influence by the "others." The Apostle Paul reminded the Church in Ephesus that Jesus came to do the exact opposite - Jesus came to break the walls down. So, if we get tempted to put up the walls around us, then let us remember the actions of Jesus. Jesus, almost always, turned the fence into a BRIDGE, over which he invited us to walk into his Grace. May you know God's grace today.